Does Weather Affect Car Batteries? While batteries will be affected by the cold when it comes to starting the vehicle, there is another extreme that can have a huge effect on the battery. In the summer, it can get hot enough in certain areas that it drains the battery as well. Therefore, you have another set of precautions to take when it comes to your car battery. One thing that you will notice is that extreme temperatures are going to shorten the battery life of your vehicle. There are a few ways that it takes the life out of your battery. For one thing, when the temperature gets above 78 degrees, it starts wearing down on the life of the battery. Conversely, low temperatures can cause your battery to get sluggish. When the battery gets hot, the electrolytes heat up. When the electrolytes of the vehicle heats up, then it is more likely to evaporate. The electrolytes have to be replenished so that the battery does not suffer irreparable damage. 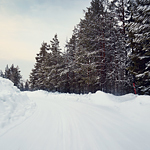 In the winter, you'll need to park in warm or enclosed spaces to keep your battery running at its best.